For this sauce, I used the base sauce ingredients from my Chinese BBQ Pork 叉烧 #1 recipe, but added some ketchup for a hint of tangy flavor.Personally, I like this sauce better than the original version. Combine all ingredients in a small sauce pan, cook on medium low heat until all combined and the sauce slightly thicken. Stir constantly. Set aside to cool completely. When it cools it will thicken some more. Store the sauce in the fridge for months. 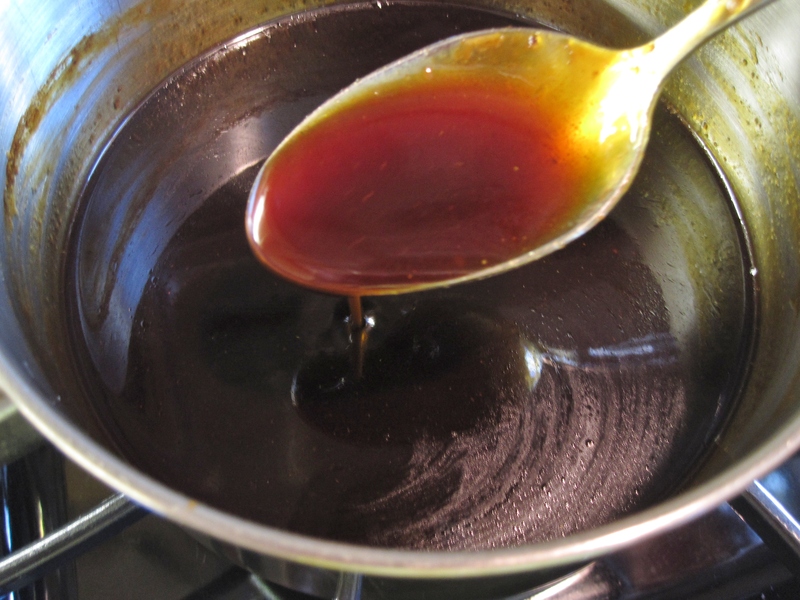 It can be use as marinade for Chinese BBQ pork or basting sauce.